Yttria Stabilized Zirconia Tube has very high hardness, very high stiffness, very good corrosion resistance to chemicals at high temperature, and very high refractoriness or use temperature. They may be used for a variety of electrical, mechanical, and thermal applications. They may be used as setter plates for firing parts in a kiln. The may be used for high temperature furnaces and as high temperature refractory turntables. 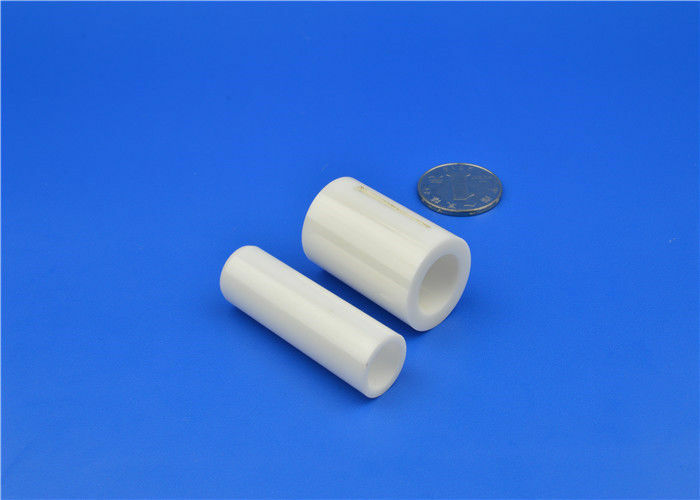 Yttria Stabilized Zirconia Tube / Bushing / Sleeve / Insulator may also be used for jewelry or for applications requiring high wear or abrasion resistance. Your imagination is the only limiting factor in the spectrum of possible applications for this component. Be sure to view all photos as they are an integral component of the item description.